Although the concept of nursing peer review is over two decades old, it is just coming of age in the correctional nursing specialty as the newest version of the National Commission on Correctional Health Care Accreditation Standards has expanded the Clinical Performance Enhancement Program (Standard C-02) to include RNs and LPNs. This is the second in a 4-part series of posts on correctional nursing peer review. Find other posts on this topic here. There are four key components to the ANA definition of nursing peer review according to their published Guidelines. Accepted professional standards of practice for correctional nurses, then, provide the basis for a nursing peer review program. The NCCHC standard C-02 focuses attention on the competence of the individual under review. The ANA places peer review centers on the complementary goals of quality and safety. Thus, a peer review process for correctional nurses that encompasses competent, quality, and safe care provision is recommended. Three primary sources of community and discipline-specific standards for nursing peer review programs are outlined below. Links to state nurse practice acts can be found on the National Council of State Boards of Nursing website along with a helpful article describing the standard factors of nurse practice acts. 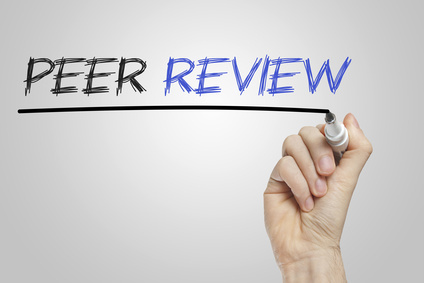 Are you developing a Nursing Peer Review program in your setting? Share your experiences in the comments section of this post. To read more about professional practice issues see Chapter 19 in the Essentials of Correctional Nursing. The text can be ordered directly from the publisher and if you use Promo Code AF1402 the price is discounted by $15 off and shipping is free. This entry was posted in Peer Review and tagged American Nurses Association, correctional nursing, Essentials of Correctional Nursing, Lorry Schoenly, Scope of practice, Standards of Practice. Bookmark the permalink.